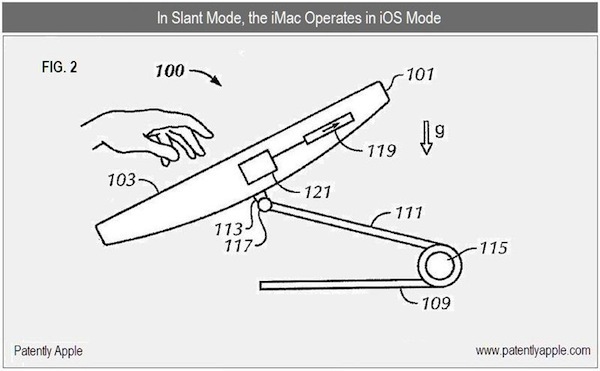 A new patent filing by Apple has just been published by PatentlyApple showing concepts for a multi-touch iMac screen that can quickly switch from mouse to touch input based on sensors tracking the orientation of the screen itself. 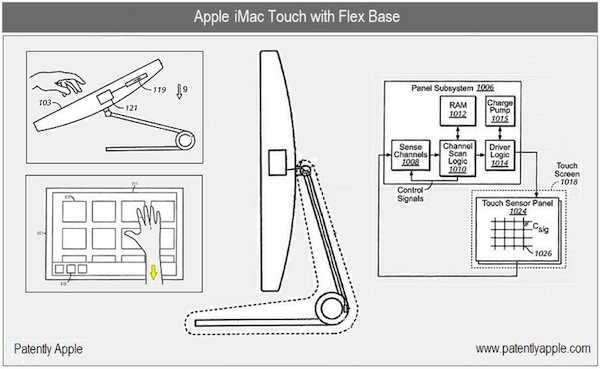 For example, while the iMac is in its traditional position, the device would presumably accept mouse/keyboard input, while when laid flat it would activate touch screen capabilities (as shown in the image above). Essentially, the patent outlines an iMac with the ability to transition from a “high resolution” UI such as Mac OS X Snow Leopard, to a “low resolution” UI such as the iPhone’s iOS 4. This helps bring more weight to the idea of Apple integrating iOS into a future version of Mac OS X. 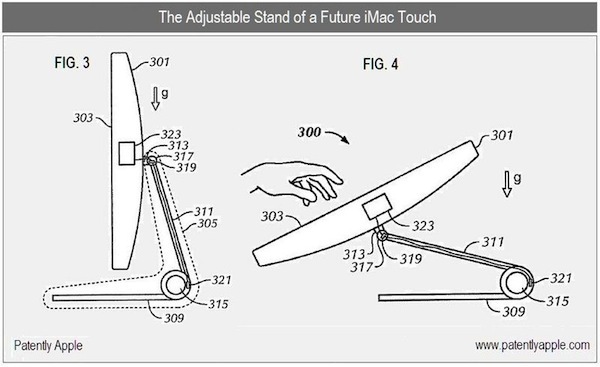 Other functional design elements in the patent that are associated with this functionality include an adjustable stand for transitioning the physical screen’s position, and sensors on the body of the iMac in order to detect changes in orientation and change from one OS to another accordingly.